Click Here to Tweet This Article! You've decided to grow a beard. But, you know nothing about beard care. Beard maintenance is important if you want it to look good and be comfortable. I'm here to give you some good beard grooming tips as well as some recommendations on beard care products. You can't simply start growing a beard and see what happens. Unless you don't care about ever getting a date or a job again. It takes some care and maintenance. Even if you decide on the lumberjack/mountain man look, you need to take care of it. Would you let your hair or scalp go months without maintaining it? Of course not. So take care of your beard and face, too. Everyday I see customers who are not taking care of their beard or, more importantly, their face. Don't forget that there is skin under that beard and it must not be neglected. Your skin needs to breath and shed waste from the pores. Having a beard can prevent that, so beard grooming is important. Make sure for every stage of beard growth you are doing your bit to clean your pores. Beard maintenance is not rocket science. But, you do need a tour guide to hold your hand to make sure you are getting the most out of your beard. Read on and you'll learn why you should care for your beard, what might happen if you don't, how to care for it and what tools and products you might need. As I already mentioned, your skin is why you need to maintain your beard. The health of the beard hair is also important. But, it's your skin that pays a heavy price if you leave your beard to grow like a weed. One thing that just about every guy experiences when growing a beard is the beard itch. It's the reason I don't have a beard myself. I could never quite get through that phase of the beard itch. That and my wife is not a fan of beards. No, I have not considered divorcing her over it. If you care for your beard during that itchy phase you can minimize that discomfort. The first thing you should be doing is washing it during this phase. Now, if you have been reading around you have probably heard advice ranging from "Don't wash your beard ever" to "Wash your beard every other day". Every beard is different as is every skin type. Take all advice with a grain of salt. I think that once a week is good enough. If you plan to use conditioner and beard oil then you can get away with washing it more often. If you feel that it itches less if you wash it more then that's what you should do. But, I would stress that not washing it at all is bad advice. The theory to not washing it is that the oils your face needs are stripped away by washing. That is actually true. But, more important than those oils are the fact that your skin needs to shed waste, as I mentioned earlier. Using a beard oil is also a great way to reduce beard itch. Near to the end of the article I will give you a short how-to on applying beard oil. There are more serious reasons to wash your beard. The health of your skin is way more important than what your beard hair feels like. Not a pretty word is it? No sir, that is not something you want. It's not a contagious disease and isn't likely to cause any serious health problems. It just isn't something you want on your face. It's a beard dandruff that is caused by bacteria. It is very common. I see it ALL. THE. TIME in the barbershop and it is gross. It's crusty, yellow dandruff, not the light flaky stuff you get on your head. It's the same as cradle cap. The dads out there are certainly familiar with that as it is very common in little babies. It's caused by inflamed sebum glands. Sweat glands, in other words, that got blocked by hair follicles that accumulated grease and bacteria. That bacteria had a chance to reproduce like rabbits since the skin wasn't being washed and, voilá, you have a problem on your hands. Well, your face. If it is a light outbreak, then washing it well will help to get rid of it. It is going to be itchy. You will know it's working if you feel less itch after time. If it keeps getting itchier and no amount of washing will get rid of it, it's time to get thee to a dermatologist. This isn't as big a problem as the seborrheic dermatitis, but it can be annoying. Prevention is the best medicine. If you are washing your beard with natural products and using a beard brush to improve your skin circulation (I'll talk about this in more detail further down the article), then you probably won't get it anyway. If you do get it, though, treat your face gently. Try a soap with oatmeal and olive oil in it. You don't want to use anything harsh that might damage the hair of your beard. Ok, didn't meant to put the fear of a doctor's visit in you. 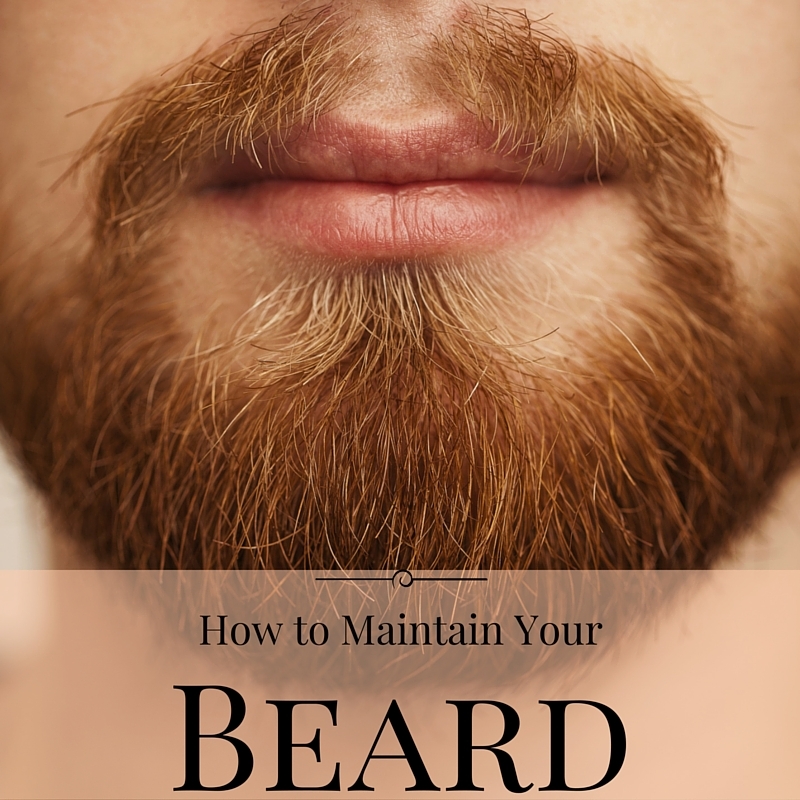 Just don't think it isn't important to keep your beard maintained. It really is important. When you first get started growing it out, keep your face clean with a natural soap with some good essential oils in it like olive oil. You don't need to worry about shampoo at this stage of the game. Up to a few weeks, depending on how quickly and thickly it grows, you should just be using a good soap, like Dr. Bronners Organic Castile Soap . You can even use the same shampoo as you use on your head or whatever body wash you are using. Natural hair and body products are highly recommended. You don't need to do much at this stage. No need for a beard brush or comb. You will be wasting money on beard oils and balms at this point. Just treat your skin as you normally would. Washed and moisturized. Use a good skin toner or a face lotion. You may wish to keep it this length, in which case it's time to invest in a beard trimmer. In this picture you can see it is an actual beard that isn't too long. It is well past the stubble stage. Using a beard trimmer can keep it that length, but even if you intend to let it grow, you should trim it first at this stage anyway. 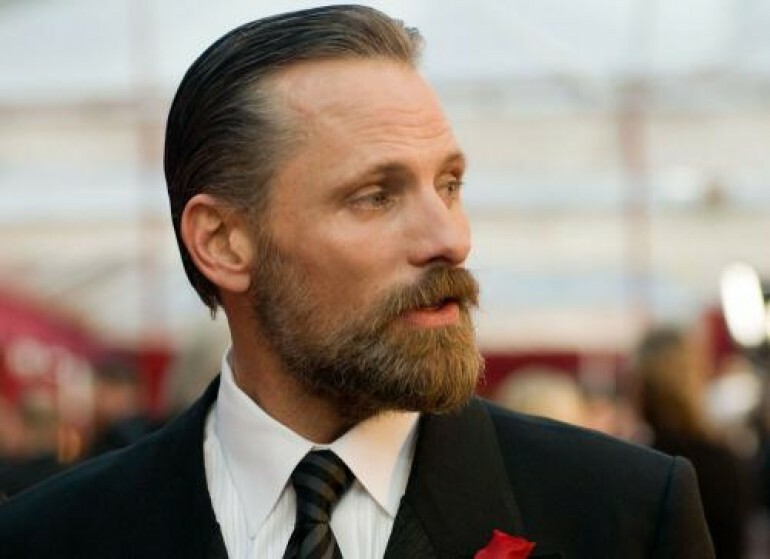 You will likely want your beard to grow in evenly so trimming it to this length before growing it out will help it grow in more evenly and not look wiry. Let it grow some more then trim it again with a longer comb attachment. When you get to the desired length, then trim it every few weeks. A good beard trimmer will be a good investment if you plan to keep the beard a while since you will be using the trimmer often. This is the stage when you want to consider what kind of beard products you should use. You shouldn't be using regular soap as it will dry your face. This is an important stage in your beard's growth if you plan to keep it growing. If you want a glorious beard, and who doesn't, then you want to start with a healthy beard from the get-go. I recommend using all natural products. Check out my post on argan oil based beard products to find the right ones for you. Keeping your beard groomed to the length pictured here is a little more difficult with a trimmer. You will likely need a set of hair clippers . They are more powerful than your typical trimmer and come with longer comb attachments. Usually they will last longer than trimmers and put up with a little more abuse. Again, you want to consider beard products to maintain your beard and skin health. Beard tips can get a bit frayed and wiry looking. Beard growth patterns might have your beard growing in different directions. To keep it under control, you may need a beard or mustache wax at this point. Now is the time to invest in a good beard brush. Brushing your beard will not only help keep your beard shaped, it will stimulate your skin and clean away any dead or flaky skin. Make sure you get one that has boar hair for the bristles and none with plastic. The real hair on the brush will keep the beard from getting damaged. Plastic can split the hairs of the beard leaving it looking frayed. The ideal beard shouldn't look shaggy, wild or frayed. That's why you should be using a beard oil. A beard oil moisturizes the hair and the skin and keeps your beard looking healthy and vibrant. If you do it correctly it won't look greasy. The best time to apply a beard oil is right after a shower. Hopefully you just shampooed and conditioned your beard. If so, it is wet and ready to absorb the oil effectively. You should do this every day or every other day as soon as you get out of the shower. Even if you haven't washed your beard that day. There was a time when lazy people grew beards. They just couldn't be bothered shaving so they grew a beard. Today's man knows that a beard is a good way to play with some style or make a statement about who he is. That shouldn't be taken lightly. Your beard, just as your hairstyle, reflects on who you are. If you don't want to maintain a beard then maybe you shouldn't grow one. Think of a beard like a pet. If you don't take the time to maintain a beard, then it will look like a domesticated animal. As I mentioned earlier, I have seen some nasty beards that need some help. If I have, then I'm sure you have too. So, make sure you are spreading the word about beard maintenance by sharing this on the social media network of your choice, located at the beginning of this article. I’m glad you enjoyed it. There are more posts to come, so stay tuned! Great post! I am a Barber out of Chicago / Joliet area and trim and line up many beards, including my own. I would highly recommend to wash your beard daily with a dedicated beard wash (liquid or bar)! Apply beard oil after each wash or daily. If ones beard has a beard about 1/2″ long then apply beard balm right after the oil. Make sure to use a wood comb and bore brush (plastic creates static in beard and is no good). Hello fellow barber! Great tips there. 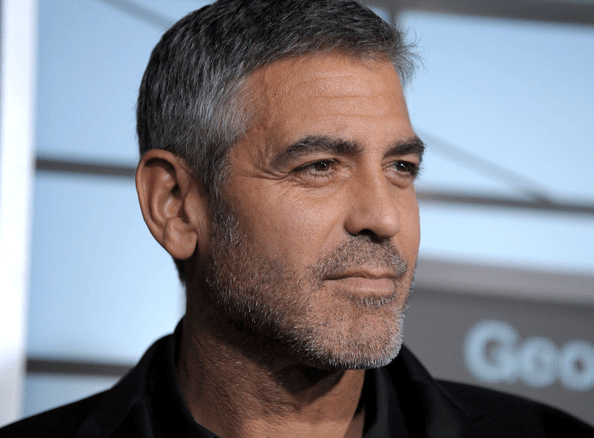 Do you see any sign of the beard trend going away anytime soon or is it here to stay?